MANILA, Philippines – Feeling dizzy and lethargic seems as normal to us now as feeling hungry and sleepy. We’re quick to consider our stressful commute or sleepless nights at work as the culprit. But is it really as normal as we think it is? You might not know it yet but these could already be early symptoms of iron deficiency anemia (IDA). According to the World Health Organization (WHO), IDA is one of the most common and widespread nutritional disorders in the world. And this health issue knows no social status, it’s prevalent even in industrialized countries. Children, and women who are pregnant or have heavy menstruation are more prone to iron-deficiency but this doesn’t mean that everyone else is safe. Other factors like diet, injuries, and even frequent blood donation and tests could result to IDA. That’s why as soon as we see signs of possible iron-deficiency, we should take the necessary steps to keep it from getting worse. This includes eating a healthy mix of foods rich in iron such as red meat, lentils, and green leafy vegetables and taking iron supplements specially formulated to address IDA. Taking multivitamins is simply not enough. It also helps to know early on. Take this quiz to find out if you might be suffering from IDA. Note: This quiz is not meant to replace medical advice. Consult a doctor if you are experiencing symptoms related to iron deficiency anemia. 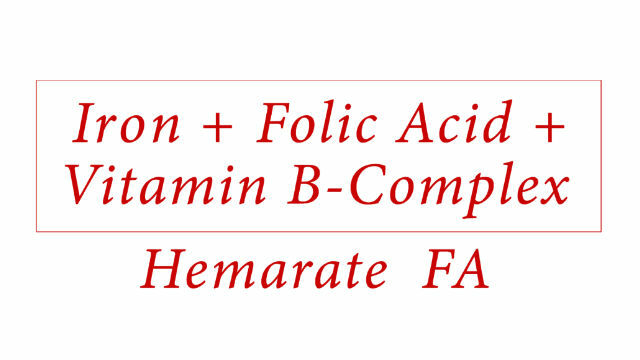 Visit the Hemarate FA Facebook page to know more about the product. Hemarate FA is available in all leading drug stores nationwide for only P23 per tablet.